James Rosenau’s work is known for its originality and clarity and the sixteen articles in this new volume are no exception. 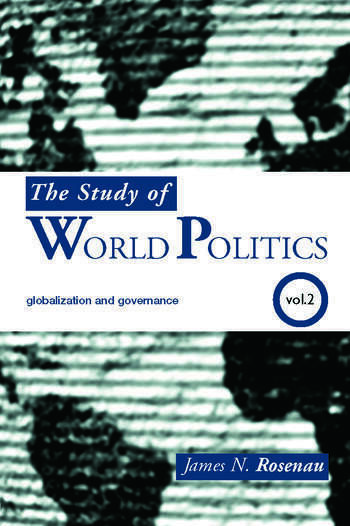 The Study of World Politics presents the thinking of one of the most innovative scholars in the last half century. The subjects addressed provide the big picture, whilst also being meticulous in detail. This new book gives the reader an unparalleled understanding of globalization and governance and is an invaluable tool to students and scholars of politics and world affairs alike. James N. Rosenau is University Professor of International Affairs at The George Washington University, having previously been affiliated with three other universities. He is a former President of the International Studies Association (1984-85) and a holder of a Guggenheim Fellowship (1987-88). His books include Turbulence in World Politics: A Theory of Change and Continuity (1990), Along the Domestic-Foreign Frontier Exploring Governance in a Turbulent World (1997), and Distant Proximities: Dynamics Beyond Globalization (2003).